Many users complain about not showing the post thumbnail while sharing their posts on Facebook. Have you ever experienced that? Just a few days ago, I was going through the status updates in a group and someone was stuck with the same thing. Today, you will learn how to solve Facebook incorrect thumbnail problem in WordPress. Most of the people think that it’s Facebook, no problem with their content. But the real scenario is a little bit different. Why Does Facebook Not Show The Thumbnails? Facebook uses the open graph tag which picks the post thumbnails. If you have set the featured image which has the small size then it’s possible that Facebook will not pick up the image. Many caching plugins, CDN can be the reasons. When you try to debug, you don’t really get the perfect error message from Facebook. The Yoast SEO plugin automatically adds the og: image tag if you use it from its settings. 1. Use The Manual Method To Fix This Issue. 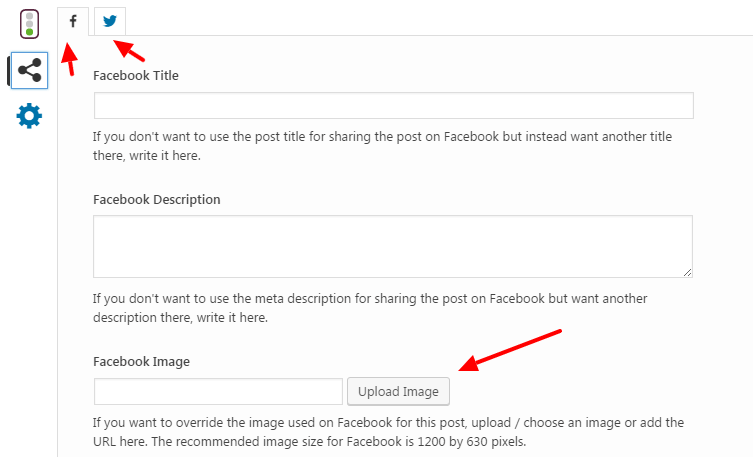 While sharing your post on Facebook, you may have seen an option to add images along with the content. It only works for you because if anyone else will share your post, no image will appear. When you add an image from Facebook’s upload sign, it gets stored in your Facebook profile/page images. At least you can fix this issue for your timeline. To fix from your website, you should follow the next step. 2. Use The SEO Yoast Plugin. As I mentioned above, you can use the Facebook open graph option from this SEO plugin. It provides the options to add the images for the social media platform below the WordPress post editor. 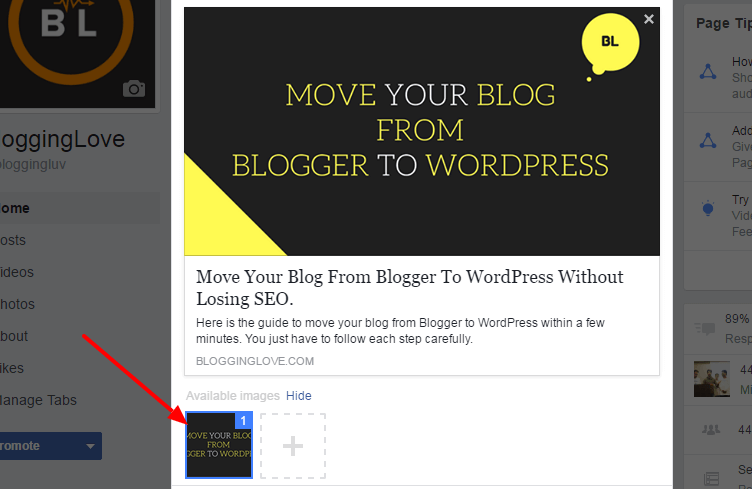 While editing your blog post, scroll down and check the social network section of the plugin. You will see the button to choose an image for Facebook and Twitter respectively. Click on that “Upload Image” button and choose an image from your WordPress media library or you can upload a new image from your computer. This fixes the issue in most of the cases. But if you still see the problem, you can use the Facebook debugger. This is the final solution. You can use the Facebook Debugger tools which only show an error. In most of the cases, Facebook shows an error for the unavailability of the bigger images. To show a thumbnail image, it’s necessary to have an image of 200×200 px. You just have to copy and paste the WordPress post in the debug tool and a related error will appear. Most probably, it will suggest to using any existing image of the article which has the bigger size. If you click again on the button, it will either show a different error or everything will disappear. Can You Now Solve Facebook Incorrect Thumbnail Problem In WordPress? Sometimes, the cache creates such type of issue. But if you have SEO Yoast plugin, most probably, the problem will get solved. The open graph used by this plugin relates to the Facebook image tags. Sometimes, a quick update of the posts solves this. Have you ever tried to add an extra image from the Yoast post meta data section? I hope now you can solve Facebook incorrect thumbnail problem in WordPress. If you have any question, feel free to drop a comment. As I told you about, I am facing this issue since late month. And I have followed every steps you have mentioned here, but still I am facing this on my blog. Please share your thought, what should i do? I remember the day you told me that’s why I wrote this post. These are the possible fixes, the rest will depend on the theme configuration. Sometimes, the thumbnail generated by the theme is the culprit. Try to clear the cache, cookies and configuring the Yoast SEO plugin again. Thanks ravi for this post I have been having issues with the facebook thumbnail i will implement this tips on my facebook account and blog.